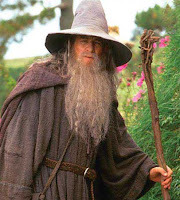 Gandalf was one of the chief Istari (Wizards) of Middle-earth, and the second most powerful of the Order. A Maia, Gandalf and the other members of the Istari appeared in the forms of aged Men: Gandalf was grey-haired and cloaked in grey. Though many of the folk he encountered viewed him as a vagabond or nothing more than a pesky old man, Gandalf (and the other Istari) had been sent from Valinor to contest the power of Sauron and unite those who would resist him. But as powerful as the Maiar were, they were forbidden to reveal their true natures or use their full strength in direct combat with the Enemy. And though they were Immortal, they could be slain or seduced away from their task (see: Saruman). 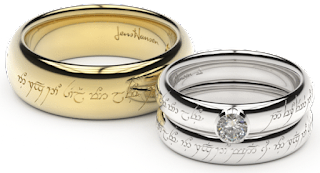 When he arrived in Middle-earth around TA 1000, he was given Narya, one of the Three Rings, by Círdan. In 2063, he went to Dol Guldur as a spy, but could not identify its lord. In 2850 he entered Dol Guldur a second time, and identified Sauron as its lord. In 2941, Gandalf persuaded Thorin Oakenshield to recover Erebor from the dragon Smaug, and it was at his urging that the company of Dwarves enlisted the help of Bilbo Baggins. 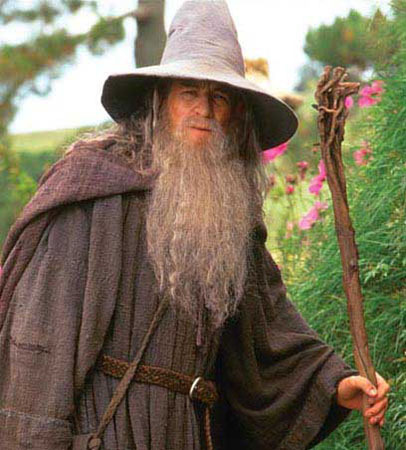 Gandalf began to grow suspicious after Bilbo found a golden ring in Gollum’s cave; and though he searched endlessly for the creature – with the help of Aragorn – it was another seventeen years before Gandalf learned the truth about the ring: that it was the One Ring of Power, now in the possession of Bilbo’s heir, Frodo Baggins. At Gandalf’s urging, Frodo left the Shire and took the One Ring to Rivendell. At the Council of Elrond, Gandalf played an important role, as he alone knew the history of the Ring and of Saruman’s treachery; he became one of the Companions of the Ring. And though he fell in Khazad-dûm defending the Fellowship from the Balrog, he was sent back as Gandalf the White so that he may complete his task. Releasing King Théoden of Rohan from the spells of Gríma Wormtongue, he cast Saruman out of the Order and was able to provide both Rohan and Gondor with invaluable counsel. Following the War of the Ring, Gandalf – his task now having been completed – went over Sea with the Last Riding of the Keepers of the Ring. He was also known as: Gandalf (‘Elf of the Staff’) to Men, Mithrandir (‘Grey wanderer’) to the Elves and Dúnedain, Tharkûn (‘Grey-wanderer’) to the Dwarves, Olórin (‘in the West that is forgotten’) in his youth, Incánus by the Haradrim, Gandalf Greyhame by the Rohirrim, Láthspell by Gríma Wormtongue, The Grey Fool by Denethor II, Stormcrow, The White Rider, The Enemy of Sauron, and The Grey Pilgrim.